The beauty of some wildflowers, of which Redshank is a prime example, is overlooked by all but those who stoop to study them close up. 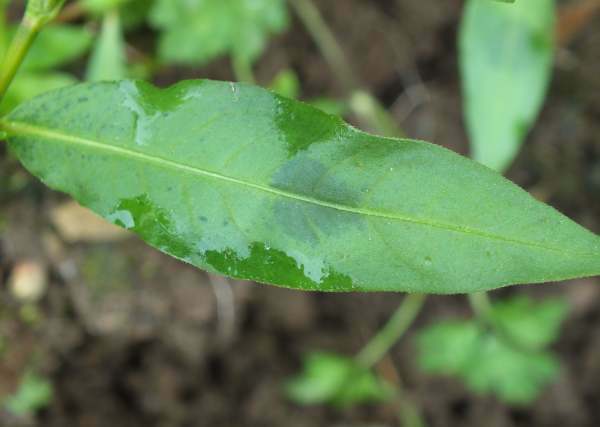 As in this example, there are usually dark blotches, often shaped rather like arrowheads, on the leaves of this annual plant. 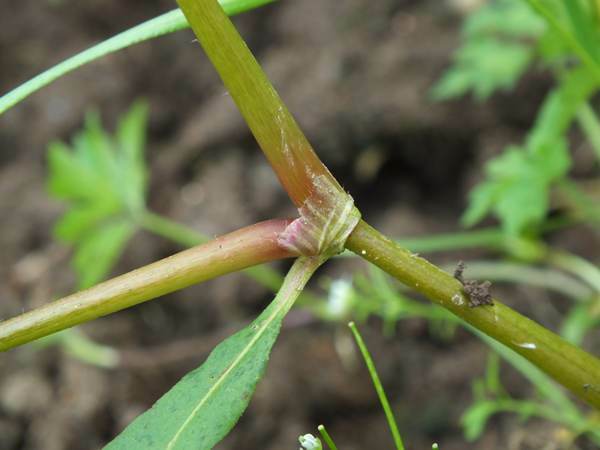 The stems are sometimes, but far from always, flushed with red - hence the common name. 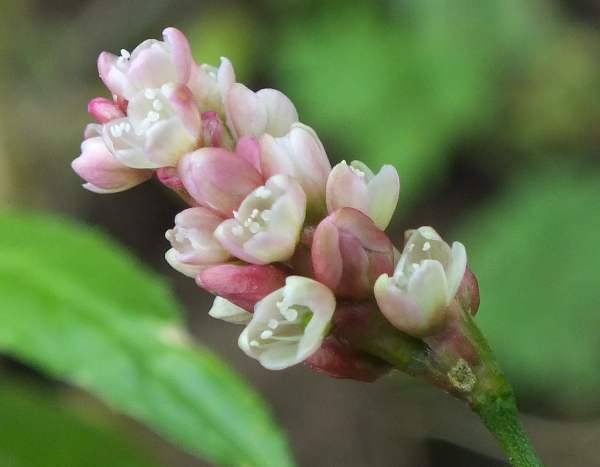 Growing in tightly-packed elongated ellipsoidal groups, the tiny flowers of Persicaria maculosa are pale pink, but while in bud they are a much deeper pink. The perianth (the corolla of infertile structures around the reproductive parts) of each tiny pink flower consists of four or five petal-like lobes that are fused near to the base. Within the perianth are six white stamens, two fused carpels and two styles. Common throughout Britain and Ireland, Redshank occurs throughout temperate parts of Europe and Asia. It is an introduced species in North America. You will find plenty of Redshank in marshy areas, although it is also quite commonly seen in dryareas where the ground has been disturbed - building sites, for example. In Britain and Ireland Redshank blooms from June through to October. Persicaria, the generic name, relates the shape of leaves of this group of plants to those of a peach tree. The specific epithet maculosa means spotted; it refers to the dark blotches on leaves of Redshank. It is from the reddish colour of the stems, most particularly immediately above branching nodes, that Persicaria maculosa gets its common name Redshank. 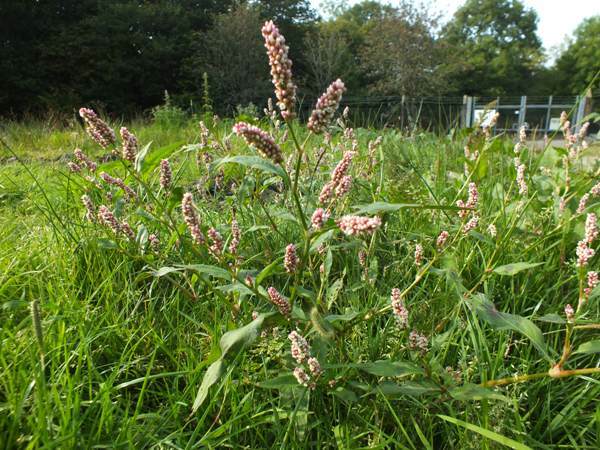 The pictures of Persicaria maculosa shown on this page were taken in West Wales during July and August.